Conference attendees prefer learning from the experts in their own industries and professions, because they can share real-world experience. But finding and inviting industry experts to speak at your meeting is just a first step, says Dave Lutz, managing director of Velvet Chainsaw Consulting. Offering industry presenters coaching and meaningful evaluation —based on proven adult-learning principles — will help make sure you deliver top-notch education, Lutz says. 1. It takes two to dance. Build a relationship with your industry speakers. Don’t call them just to tell them they’ve been accepted and to finalize the session title, description, and learner outcomes. Ask questions about their delivery style, presentation skill level, audience-engagement plan, and how they evaluate their success. Share attributes of previous, highly rated education sessions. Offer advice and continue the coaching after the presentation. 2. Knowledge, facilitation, and delivery. Ensuring that industry speakers have deep knowledge on the topic is a given, but it’s just the first step. 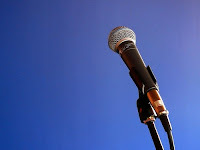 Knowing how to develop and deliver a stellar presentation that engages the audience requires strong facilitation skills. They have to know how to move to the music, too – that’s the delivery. Remember to make the distinction. 3. Being a subject matter expert (SME) is not enough. Just because SMEs know the content doesn’t mean that they have experience applying and implementing it. Instead, look for SMEs who are Subject Matter Experienced. These SMEs can share relevant tips and takeaways for applying their content in the real world. 4. Delivery and handling not included. Many industry speakers have yet to acquire good adult-learning presentation skills. The right content plus the right delivery style plus the right audience engagement equals a winning session. Invest in your conference speakers. Set aside money to provide webinar training on developing content into a presentation as well as face-to-face training on presenting it with panache. 5. Set the goal. How serious are you about improving the education at your conference? 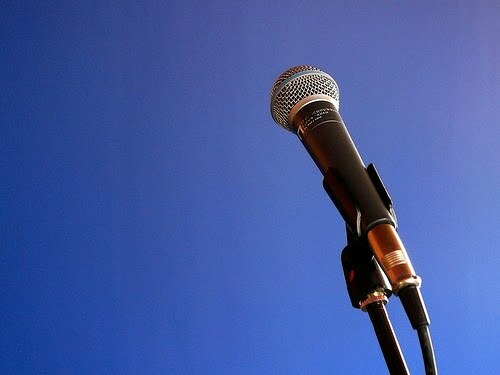 If you really want to start raising the bar, set an overall speaker-satisfaction-rating goal. Publicize that goal. Let speakers know that if they don’t score a minimum level of satisfaction, you won’t use them again (unless you think they’re coachable). Create a speaker-score comparison sheet and share it with all the speakers. Post it online as well. Each year, raise your goal by 5 percent, until you reach an overall average favorable score of 90 percent or 95 percent. 6. Evaluate, evaluate, evaluate. Use an extensive session-evaluation system, not just a “smile sheet.” Have participants rate each speaker for all sessions attended. Evaluate the speaker’s knowledge, style, pace and timing, program content, relevance, and whether or not they met the learning objectives. Ask open-ended questions, such as: “How will you apply the learning to your job?” Let speakers see their unvarnished compiled evaluations. 7. Go beyond 60 to 90 minutes. Many conferences are realizing that learning from face-to-face events can be extended by doing advance webinars, blog posts, “tweetchats,” and LinkedIn discussions. Look for opportunities and platforms to build anticipation for the live session and enhance the learning. Adapted from Dave Lutz’s “People and Processes” column, in Convene, October 2010. Read Lutz’s (wildly popular) column each month in Convene.